The premise of this book plays on a theme that I, and I suspect many people, have been interested in for some time – the idea of second chances, the opportunity to play certain parts of your life over and over until you get it right. 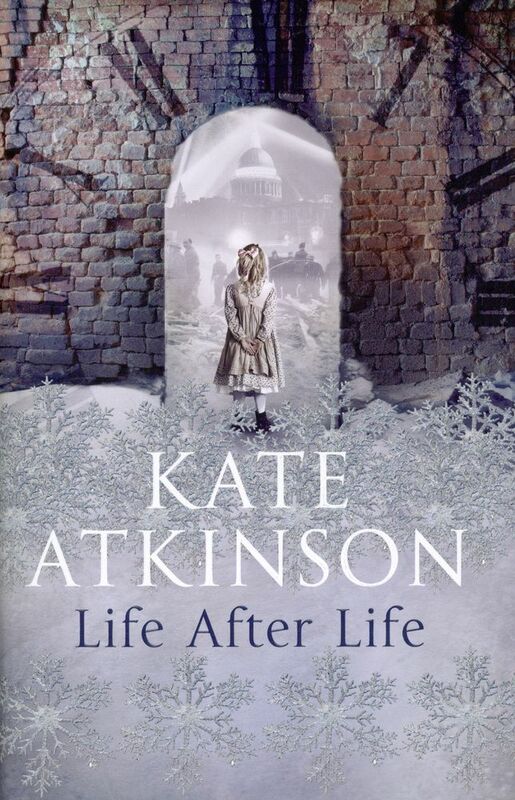 Kate Atkinson’s Life After Life follows Ursula Todd as she continually dies and is reborn, with the faint memories of her previous lives buried in her consciousness, unearthed in periods of intense déjà vu. Atkinson’s clever novel centres on the frailty of life, highlighting how the difference between life and death can be a single moment, one decision, or something completely out of our control. This is particularly emphasised in the novel’s turbulent setting of World War II, where every day can be a struggle and a fight for life. The sections in the novel set throughout the war are the most poignant and well written sections of the book, with Atkinson vividly and completely evoking this period of intense change. Descriptions throughout these sections are often particularly startling and original. The other element Atkinson particularly excels at is her exploration of the deep family ties, particularly those between Ursula and her siblings, throughout the novel and it was one of the aspects I most enjoyed. Many of the characters, such as Ursula’s parents, her siblings, her psychiatrist and the people she works with when she is a warden recovering and searching for the injured in bombing raids in World War II, are just some of the intriguing secondary characters in the novel which are expertly depicted. Atkinson uses bracketed asides throughout her prose, which are often humorous, and are an excellent way of showing characters’ personalities, although the frequency of these can become tiresome after a while. As for Ursula herself, I found that the characterisation of her was better as she grew older – I felt quite distanced from her and it wasn’t until mid-way through the book that I began to feel something for her and her situation. One of the reasons for this may be the way the novel is set out. The plot is extremely fragmented, particularly near the beginning, with the short chapters giving you a glimpse of the characters’ lives before they stop when Ursula dies. While these snapshots are intriguing and interesting, they didn’t help to draw me to Ursula. It can also become increasingly confusing with the quick flitting between dates and time periods. Once I’d recognised the pattern of these chapters, each time a mildly dangerous situation began to loom I knew that she was going to die again and I didn’t feel moved. Although this disconcerted me, perhaps this is the point – if you get numerous chances, life can seem meaningless. It was as she grew older, and the chapters grew longer, that I felt more drawn to Ursula and her life. Recurring phrases or moments throughout the novel are a nice touch, showing that whichever choices we make, some things will always be the same. Atkinson begins the novel with a meeting between Ursula and Hitler. While the period of World War II is an excellent choice of setting for the concept of this novel, I found the sections with Hitler weren’t needed and required too much of a stretch of the imagination for me to find believable. I would have the rather the novel completely concentrated on how she affected her own life, her family, friends and lovers, rather than how her actions could have changed the course of history. While this, perhaps, embodies one of the ideas of the book – that our decisions and actions can have far greater consequences than simply affecting our own lives – I found the other sections to be far more engaging. Atkinson’s decision to begin the novel with an excerpt from Ursula’s meeting with Hitler signifies the importance of this aspect of the story, yet very little of the novel is dedicated to this moment in time. Why did Atkinson decide to begin the novel here? If it was a device to pull readers into the story, it left me expectant throughout the first chapters of the book for some reference to this moment. When it didn’t come until much later, it seems as if the beginning was misleading. Because the majority of the novel revolves around Ursula’s life before, during and after the war, the story seemed to deemphasise the suggested importance of the opening scene. By the time I turned the final page of this novel, I wasn’t sure of what to make of it as a whole. I had a lot of questions, and I don’t think there’s a clear ‘moral’ or ‘lesson’ to the story, although I think this is purposeful on Atkinson’s part. It leaves an ambiguity to the book which I think is more successful than if all of my questions had been answered. Atkinson’s witty and humorous style contrasts with the terrible scenes of the war, but they work together to create an interesting and engaging novel. Despite the slight issues I had with the book, the atmosphere Atkinson creates is excellently done, with the evocation of war, family ties, and the various possibilities of Ursula’s life standing out as highlights. I really enjoyed this book too – I think Atkinson handled the concept brilliantly. I agree, I loved the concept. Have you read any other of Atkinson’s books?